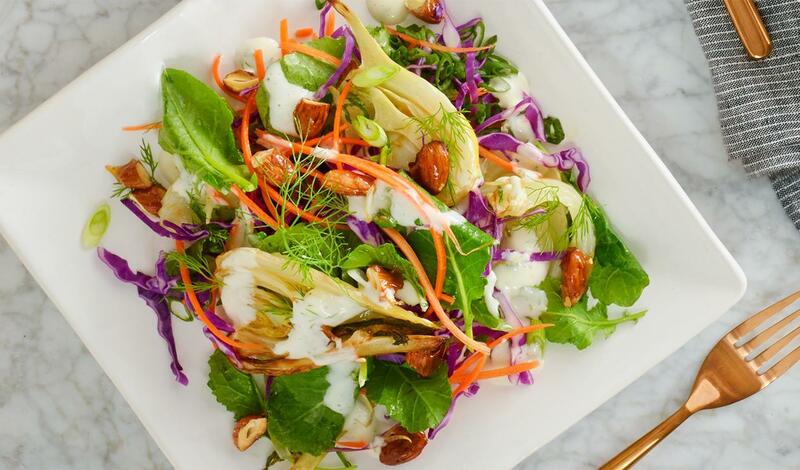 A crunchy salad of roasted fennel and kale with sliced scallions and candied almonds. Topped with a Meyer lemon dill dressing. Combine all ingredients and toss together until evenly coated in the Meyer Lemon and Dill Dressing.